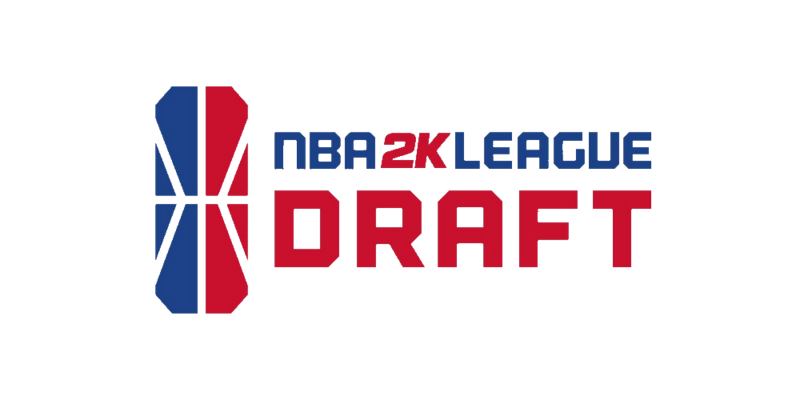 With the first-ever NBA 2K League Asia-Pacific Invitational tournament in Hong Kong wrapping up this past weekend, the next big date on the league calendar is the 2019 entry draft, likely coming in late February or early March. The draft pool comprises of 150 new players selected through the combine, video interviews and their online application, as well as the 49 unretained players from season one and a select number of Asia-Pacific players. You can find the full list of players in the pool so far here. You’re not here to read that, though. You’re here to read the first iteration of my mock draft, which will only examine teams in the lottery (non-playoff teams) for now; we’ll get to expansion teams and the rest of the first round in subsequent mock draft iterations. Mock drafts are never right. This one is an attempt to see what I think teams will do, not what I personally think teams should do, based on a combination of team necessity and hours of discussion with team players, officials and followers. What’s written below isn’t what will happen on draft day, because drafts are by nature unpredictable, but it’s a good indication of what teams are considering and who they might be looking at. The Jazz recently hired 2kCompGames as its coach, which is a terrific move because Comp knows the community and its players better than nearly everyone. The Jazz has one of the most experienced rosters in the league, including former third-overall pick Yeah I Compete, and could vault back into the playoff picture by nailing their pick here. Ria is the consensus top pick, and his fluid and near-flawless game makes him someone whom the Jazz can envision fitting perfectly in tandem with Compete. The Warriors have poured resources into preparing for this year’s draft, determined not to be at a similar disadvantage as last year. This time around, they’ve got the second overall pick, rather than the seventeenth, as well as a vision for the team in the 2019 season. There are two options for the Warriors here: Gradient and PeteBeBallin, both of whom fill major holes and provide a massive talent boost to the team. Gradient edges ahead by a slight margin here, due to his success on 2K19, but don’t be surprised to see Pete—who rose to prominence on Self Taught just as the Warriors really started watching Pro-Am—go here instead. The Kings may have situated themselves well for 2019 despite a disastrous 2018 campaign, as Timelycook will get a chance to reclaim his role as a top lockdown defender. But the Kings desperately need to fix their season one mistake—the lack of a top ballhandler—and BP is the best chance to rectify that situation. While he’s not as heralded as some other point guards in this draft class, BP should have secured his spot through his combine performance and film review. Don’t rule out the Kings throwing a curveball here, though. What will the Pistons recoup from trading LetsGetItRamo? Their selection at No. 4 will offer them hope, but the question won’t be conclusively answered until the season comes along. The Pistons protected Pro-Am team Throwdown’s Iinsanitty, and it’s DevGoss who seems likely to join Iinsanitty in Detroit. The two have years of experience together on TD and Dev is one of the most decorated players in Pro-Am history. If the Pistons feel that Dev validated his reputation with his combine performance and interviews, expect to see a Throwdown player drafted fourth overall for the second consecutive year. The Mavs have signed, sealed and brandished their intention to build their team around former first-overall pick Dimez. That means they’re looking for the best complementary player, which in their mind—if the Warriors take Gradient—is likely to be Pete. While new coach LT Fairley is not guaranteed to run the same gameplan as coach Jonah Edwards ran last year, finding a pick-and-roll partner for Dimez who can star outside of the limelight will be the Mavs’ first order of business. The Bucks brought on one of the more active draft scouts in the community in SamPham. He figures to make a serious impact on the draft process. Though the Bucks already have a nominal ballhandler in Game6Drake, all indications point to the Bucks wanting to run a two-ballhandler offense. Bear provides serious firepower on offense and the Bucks, who haven’t exactly captured the imagination of fans around the league, might find his talent and marketing appeal too hard to resist. It stands to reason that Grizz star AuthenticAfrican wants to return to center in season two. With OneThroughFive not making the draft pool and the Grizz eager to accumulate high-level talent after a rocky season-one draft, the team will likely select either a point guard or a lockdown defender. I’ll slate Breadwinner here, since he appears to be the consensus top lock left on the board with many point guards—Kina, MrStylez and JMoney, for example—crowding the board. The Grizz will do whatever it takes to not get burned in the first round this year. Fab will reprise his role running the show in Boston, but the team needs a new pick-and-roll partner for him after losing Arsonal to Hawks Talon GC in the expansion draft. Consequently, we’ll slot in one of the highest-rated centers here. This pick has plenty of variability, however, especially if Grizz Gaming goes point guard at No. 7. Also important is the fact that the Celtics have one of the strongest organizational hierarchies in the league, meaning that Head Coach Ricco Phinisee won’t be afraid to pick the player he thinks fits best, communal consensus notwithstanding. Doesn’t hurt to take a guy who played on your semi-occasional practice squad last year, though. The Magic have some versatile players and a new head coach in former Mavs Gaming skipper Jonah Edwards. The organization is a firm believer in a chemistry-first approach, and the team is confident in Edwards’ scouting ability to find the player whose talent best matches his fit. Reizey, from Texas, plays with former Edwards tutee Dayfri, who like Edwards won’t be back with the Mavs for his second season in the league. To top it off, Reizey figures to provide serious scoring, the area in which the Magic might be most in need. The Warriors’ second first-round pick, acquired in exchange for LeVert, is contingent on their first pick. If they go point guard at No. 2, they go lock or center here. If they go lock or center, they go point guard here (without a second round pick, they can’t afford to wait on the most important positions until the third round). Thankfully we’ve had a run of non-point guards, so the Warriors have some options here. I think this comes down to JMoney and Kina, and I think that, with little sufficiently separating the two in their eyes, the Warriors’ war-room core will prioritize Kina’s longer successful competitive history.